Communicating with Your Wine…What did you say? OK. So, I’ve got your attention… For just a few moments, I’m going to play the role of a self-help guru and point out how by learning to communicate with your wine, you will find that you have a better relationship with your wine and your wine will be all you ever hoped it would be. Let’s first consider some of our everyday relationships and the significance of effective communication within those relationships. Relationship #1: You and your dog – Rover needs to be let out to do his business. How do you know? Well, you listen him – perhaps he makes certain noises that tell you? You watch him. Perhaps he stands by the door to let you know. Your relationship with your dog is based upon visual and auditory cues. A mistake in interpreting these cues could mean an accident that will need to be cleaned up. Relationship #2: You and your baby – You need to understand why it is that your baby is crying. If you happen to be a parent, you know all to well the process of elimination through which we determine why the baby is crying. Does the baby need to be changed? We accomplish this through sensory analysis; touch via the finger test for wetness and smell to see if baby has a “gift” for us. It goes beyond this to evaluating for gas, hunger, or even illness and with a baby the stakes are high. Relationship #3: You and your significant other – This has got to be my favorite to discuss. I say this because it is the one relationship that I’ll mention that actually includes the element of verbal communication. You would think that a combination of body language and direct verbal communication would equate to very effective communication. Yet, how many times have you said to yourself – “What is this person talking about? What? Huh? I just don’t understand what this person wants…” The important point of this relationship is that even with lots of information, that information is only as good as our ability to receive it, to make sense of it, and to respond appropriately. If we are not listening and do not know how to respond we are destined to a relationship that is not as good as it could be or even worse – a complete failure. Relationships are about communication. As you can see from the examples presented above, that communication happens in different ways and using a variety of cues. Relationships are improved through adjustment, more of this and less of that. However, the adjustments will only be effective if, in fact, they are the appropriate response to the communication. That requires developing the ability to effectively interpret the communication. Finally, relationships cannot be forced. In other words, there are times when we simply cannot make a person or thing into something that it is not. I’m sure that by now you may be thinking “What does this have to do with wine?”. Actually, it has a lot to do with wine. From the time we purchase our grapes, the grapes have information to share with us – if we are willing to listen. We open the lines of communication by establishing that we care to know what the grapes have to say. We do this by taking the appropriate measures for Sugar, Acid, and pH. For instance, a must might say that it is a Cabernet Sauvignon, it has a Brix reading is 25, a TA reading of 6.2 g/L, and a pH of 3.5. Without fail we ask these questions of our must because we care to know how it is doing and if it is positioned well to develop into a fine wine. We know that it will fair the best in yielding a fine wine if it communicates numbers like the ones suggested above. However, what if your must communicated a reading of 30 Brix, a TA of 4.4 g/L and a pH of 3.9? With these readings, our must would be communicating…”I need something from you in order to produce the wine you are looking for and I need your help to do so! Please help.”. We respond by making the necessary corrections and bring our must into a state where it can communicate desirable numbers and subsequently produce a wine that we can be proud of. Now, please don’t think I’m suggesting the relationship that you have with your wine will be like those I used as examples. Nor should you anticipate your wine actually speaking to you. If it does, I assure you it is not normal and you might wish to seek some professional help. What I am suggesting to you is that like our other relationships, our grapes have information to share, if we care to listen, and that information can only help us. It is a perfect one-sided relationship. The winemaker seeks to produce a wine according to certain expectations. We’ll assume the grape develops on the vine for no other purpose than to satisfy the desires of the winemaker. All we need to do is to make sure we maintain our lines of communication. We as winemakers take readings that extract the information the grape has to share. We evaluate that communication to determine if the particular must is capable of meeting our expectations. Perhaps it is capable as is, perhaps it will be capable with only a few adjustments, or perhaps it is simply not suitable for the type of wine we wish to craft. Armed with valuable information, we can take our relationship into a suitable direction. The juicegrape.com web site has more material on gathering and making sense of the information your grapes have to share. My purpose in writing this article was simply to point out that there is a relationship between the winemaker and grape and like any other relationship, the best outcomes occur when the communication is good and frequent. So, take those readings and do so regularly. Write them down. If you don’t know what the readings mean, refer to the juicegrape.com website and have a good reference book that will assist you in understanding what your grapes are communicating. Finally, have a set of expectations for the wine you wish to craft. Perhaps the grapes you have can meet those expectations – perhaps not. Either way, you are better positioned to work with the grapes in crafting a wine that can fall within your expectations and a wine that you can be proud of. 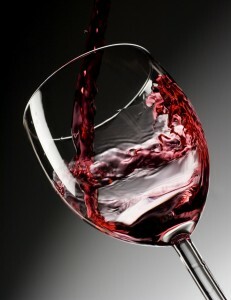 Many people complain of getting headaches after drinking red wine. 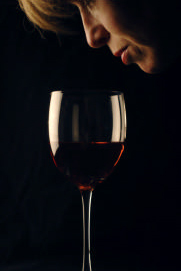 Although it is very arguable that some of these people simply had a bad experience drinking lousy wine or in overindulgence and now blame all red wines, there seems to be enough evidence to suggest that others consistently experience a real physiological reaction after drinking red wine. The following article provides an excellent insight into what is known as red wine headache or RWH. antihistamine like Claritin or take an aspirin to stop production of prostaglandins. is going to give you a headache, it will do so within 15 minutes. If there is no reaction, stick with that wine for the evening, keeping your alcohol consumption to no more than two glasses. Keep a journal. And don’t confuse RWH with the headache that comes six hours after a full evening of drinking. That’s called a hangover! immediate and late phases of RWH, and the proposed mechanism was through interruption of prostaglandin synthetase (Immunology and Allergy Practice; 7: 279-84). In a new controlled study, Kaufman and Dwight Starr, M.D., Mt. Zion Hospital and Medical Center, examined, through blind evaluation, various inhibitors of prostaglandin synthetase (IPS) drugs, aspirin, Acetaminophen, and Ibuprophen, to test if the RWH could be prevented by the prophylactic use of these specific medications. During the first stage, twelve subjects (nine females and three males) with a history of RWH were challenged with red wine, and all experienced RWH. The subjects returned one week later, stage two, and were given inhibitors of prostaglandin synthetase or placebo one hour prior to wine ingestion. The two who received the placebo were not protected. Kaufman and Starr reported that ten of the subjects who were premedicated failed to develop the RWH; two given Acetaminophen developed a “second phase” RWH 6-10 hours after wine ingestion. Kaufman and Starr conclude that RWH may be due to a metabolic defect and corrected by prostaglandin synthetase inhibitors. Mechanisms of correction remain unclear. 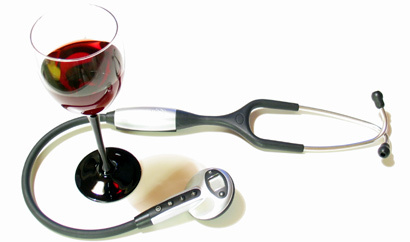 H. Kaufman and D. Starr, Prevention of the Red Wine Headache (RWH); A Blind Controlled Study. In New Advances in Headache Research, 2nd edition, ed. F. Clifford Rose. Smith-Gordon, 1991. Our online research uncovered some linkage between red wine headaches and the consumption of black tea. We won’t list a reference here simply because the specific association to RWH is associative at best. None-the-less, upon further examination of the claim, one will uncover that black tea contains a bioflavonoid called Quercetin. Quercetin has the effect of inhibiting histamines and acts as an anti-inflamatory. While this may end up being a solution for some people, it should be noted that red wine is also cited as being a good source of Quercetin. Perhaps the components of wine are antagonistic and so the extra Quercetin will make the difference. yourself in top running order the morning after an evening of responsible wine-drinking. The following article text was written by William Bincoletto and was featured in the Words on Wine section of the enjoycooking.com website (http://www.enjoycooking.com/wow_details3.php?wow_id=3). Sulfite is a word used to describe forms of sulphurous acid, including sulphur dioxide. Sulfites have been used since ancient times for many purposes, including the cleansing of wine receptacles by both Romans and Egyptians. As food additives, they have been used since the 17th century and approved for use in the United States as long ago as the early 1800s. They are currently used for their preservative ability, which includes controlling microbial growth, blanching certain foods, and preventing spoilage of certain perishable foods, beverages and pharmaceuticals. It is their antioxidant and anti-microbial properties that have gained them an important role in wine making. The sulfites either inhibit or kill bacteria or wild yeast, thus encouraging rapid and clean fermentation of wine grapes. Sulfites are also a natural and minor by-product of yeast fermentation and thus are produced during the wine fermentation process. Who is allergic to sulfites? sub group of greatest concern is the sulfite-sensitive asthmatic population. Of those, the ones in whom the most severe reactions have been reported are steroid-dependent and are taking such drugs as prednisone or methylprednisolone. Most of these individuals have been cautioned by their doctor to avoid sulfite-containing foods or beverages. The number of asthmatic patients that are included in this sulfite sensitive group is estimated to be 500,000 in the United States. The USFDA requires labeling of foods containing 10 ppm or more of sulfites. What are the symptoms of a sulfite reaction? The symptoms of a sulfite sensitivity reaction vary from mild to life-threatening. The most common symptoms are mild and involve a skin rash accompanied by redness, hives, itching, flushing, tingling and swelling. Respiratory symptoms include difficulty breathing, wheezing, and stridor. Gastrointestinal reactions involve nausea and stomach cramps. Much less common but more serious signs and symptoms of sulfite sensitivity are low blood pressure, shock, extreme difficulty breathing, and loss of consciousness. As noted above, these symptoms of a severe reactions are most apt to occur in the steroid-dependent asthmatic person. I get headaches, stuffy nose, and rosy cheeks from red wine. Is this an allergic reaction? Technically, this is not an allergic reaction. What is being described is usually referred to as the “red wine headache syndrome.” This is not related to the sulfite content of the wine but probably due to other substances contained within the wine such as histamines, tyramine, and phenolic flavonoids. Aside from the discomfort of the headache, these symptoms do not appear to be a risk for progression to a more serious reaction. Studies have suggested that these headaches can be avoided or minimized by taking either aspirin, ibuprofen, or acetaminophen prior to drinking wine. I can drink only white wines. Do red wines have more sulfites? of various wines until you find some that don’t bother you. To sum this up, it would seem that if a person were sulfite sensitive, their first experience would not have been from the consumption of wine. For those people who claim to both be sensitive to sulfites and only able to drink white wine, this is a contra-indication in that white and sweet wines will generally be ones to possess more sulfites. I personally have a mold allergy that results in periodic sneezing from my initial consumption of alcoholic beverages and followed by various degrees of congestion. I get the same response for initial sips of brandy, beer, wine, and yes…even a recommended dose of cough syrup. Regardless of the cause, if you have experienced moderate to severe adverse effects from drinking or consuming any product, it would be best for you to seek medical evaluation before resuming consumption of that product or any of its variants. Your continued well-being is of the utmost importance. As more information becomes available on this topic, we will be sure to update the information we have on the juicegrape.com web. otherwise know and without even needing to leave their home. impact a winemaker’s ability to craft wines that are both stylistic and received well by those who consume the wines. Making wine and making it well, as with anything else, requires starting off with a clear goal of what it is you are setting out to do. What are you trying to make? Is it a Cabernet, or is it a Cabernet that can be described as a series of adjectives (related to taste and after-taste, aromatics, mouth feel, etc.)? Let me make another example…If I were a builder and you wanted me to build your house, would you get better results by requesting that I build you a Colonial or by requesting that I build you a Colonial and providing me with explicit blueprints for how that Colonial should look? Simply put, the more information we have pertaining to the intended outcome, the closer we can come to arriving at that outcome. Of course, in winemaking there are some elements outside our control – particularly the elements of the grape that come directly from the terroir. As a winemaker, even if someone were to come to you and say “I want you to make me a full-bodied, fruit forward, and soft tannin Shiraz”, you would be hard pressed to know what that would equate to if you had not developed a mental library of such characteristics. And how would you accomplish that? The answer is by the purposeful tasting of wine. winemaker looking to develop such a frame of reference, I personally believe he or she needs to gather much more information – much of which comes directly from tasting. follow. Many commercial wineries now post readings like TA, making it even easier to obtain that information. more detailed information to reverse engineer the wine – in this case the type of oak that should be used to recreate a similar wine. My experience in this critical tasting suggests the tasting be done either alone or with fellow winemakers who have the same mindset for a critical dissection of the wine being tasted. That is not to say that the end consumer has no value to offer. On the contrary, they are likely to tell you they like or dislike a wine. The key is to uncover the specific characteristics of the wine that have led to that conclusion and the tasting level or sophistication of the end consumer, and to file that information away in your notes or mental library – if you still have room. After tasting and listening, a winemaker should be constructing a frame of reference for wines of a given area, given type, given varietal, and what end consumers tend to like or dislike given their “level” or sophistication as wine consumers. What remains for the winemaker, is to make sense of all this information and seek to connect the desired characteristics for the wine to be crafted with the cellar techniques that lend themselves to such characteristics. doing so, we are encouraging you develop a frame of reference. Once you have that frame of reference, you will then be ready to make the connection to winemaking techniques. Do take some time to also just sit back and enjoy wine – though the bug to evaluate it will soon overcome you.